Internet artist Molly Soda has a list of spells for all aspiring technopagans on the world wide web. Soda's spellbook on first sight looks equal parts Tumblr and The Craft and contains eight different recipes for current tech woes. 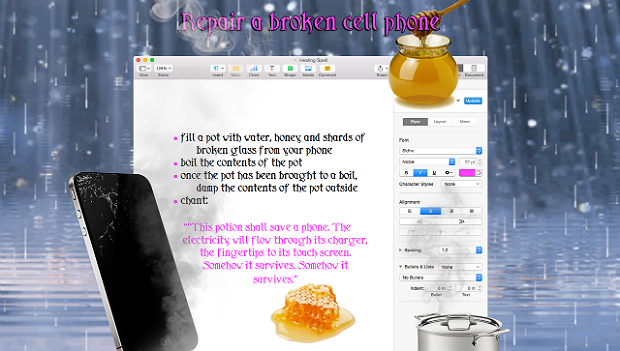 Repair a broken cell phone, via Molly Soda at Newhive.com. A summoning spell to increase your follower count. 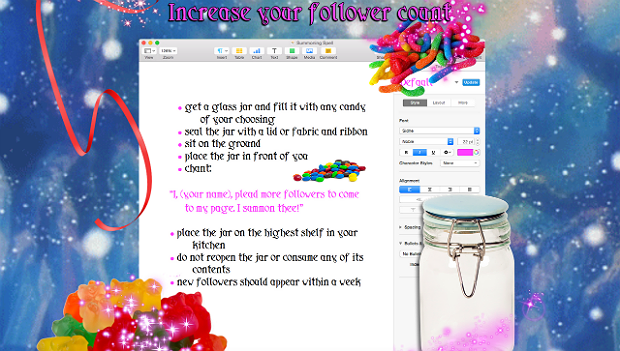 Increase your follower count, via Molly Soda at Newhive.com. 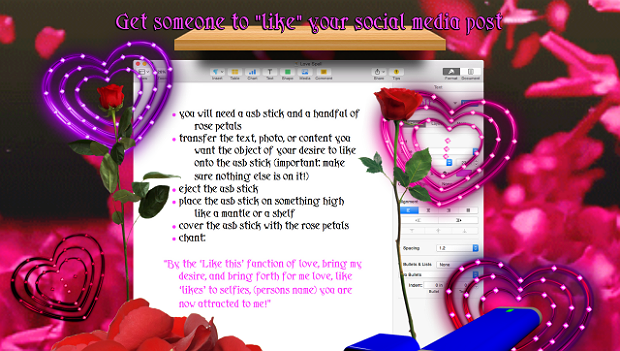 A love spell to get that special someone to "like" your social media post. Because #modernromance. Get someone to "like" your social media, via Molly Soda at Newhive.com. And finally, a banishing spell for the new millennium. 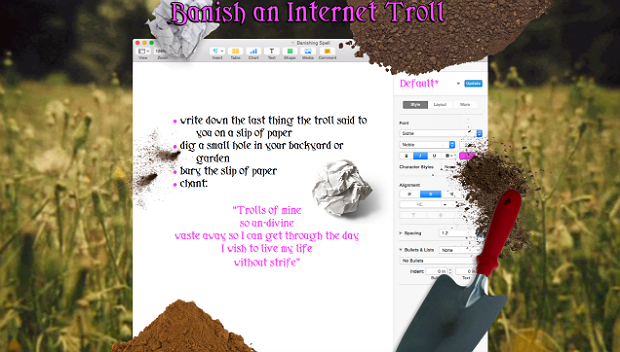 Banish an Internet troll, via Molly Soda at Newhive.com. For more, check out Soda's book of shadows on Newhive.com. Soda used to be Grimes' backup dancer. In 2013, she was listed by Complex as the 24th most important artist of the year.